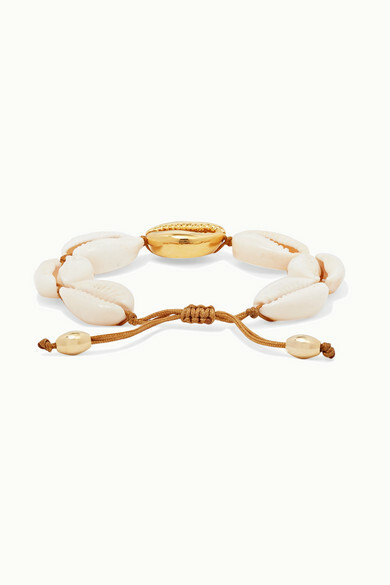 Verda Alaton launched Tohum to express her passion for nature, which is so easy to see in this 'Puka' bracelet. 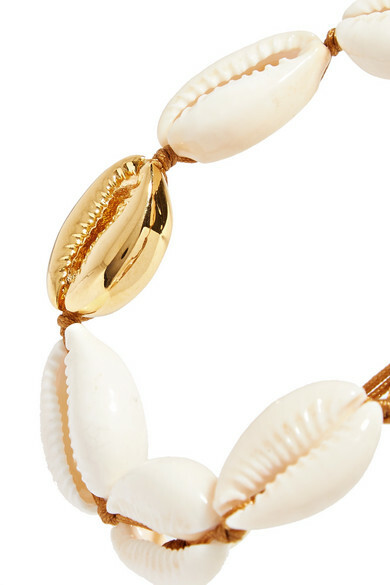 Strung with a row of natural cowrie shells, it's accented with a single gold-plated one in the middle and has an adjustable cord fastening so you can ensure it fits perfectly. Stack it with other treasured pieces you've collected on your travels. Shown here with: FRAME Blazer, Tohum Earrings, Tohum Bracelet, Tohum Bracelet.